It’s one of the most imposing mountains in the United States. It may not have the height of many mountains or the reputation, but it’s proximity to development and elevation gain from bottom to top make it feel bigger than it is. It’s name is Timpanogos and it’s history is rooted in native American lore. There are many versions of the story. Most versions center around an Indian princess who marries a great Indian warrior. The warrior is killed, and in a moment of grief, the princess lays down on top of the mountain to die. For the complete version check out The Legend of Timpanogos. The present-day fascination with Timpanogos began in the early 1900’s when a professor at Brigham Young University decided to bring it to the world. Over the next 60 years, Timpanogos would become one of the most hiked mountains in the mountain west. An annual event would take place every July. Thousands of people would join together to complete the trek. The event became such a success that it was necessary to build a stone support shelter by the lake. One year more than 10000 people reached the summit in one day. Predictably the environmental impact did not go unnoticed, and the event was cancelled in 1970. Long Hikes May Give You Blisters, Learn How To Prevent Them! It wasn’t until my mid thirties when family from Texas came to visit. My sister’s husband wanted to hike Timp. Realizing that everything comes bigger in Texas except mountains, I wasn’t sure if he knew what he was getting into. I decided to go along because bad things happen when people adventure alone, like sawing your arm off with a multi-tool. All together I have hiked Timp a total of 2 and a half times. The first time with my brother in law, it was a great experience. Maybe that is why I have agreed to do it one and a half more times. The second was with my sister and my nieces. My sister and two of my nieces turned back within 15 minutes of the trailhead. My other niece Sydney was a trooper and hiked with me all the way to the top. The half time was with my brother. The day before we left he was boasting about his great shape and how often he runs. My brother hyped himself to be like the warrior, but like my sister and other two nieces, he was more like the princess. He started complaining after 15 minutes, and within the hour we were turning around. The First time I summitted Timp was in mid-July. During the mid-20th century, hikes would often begin just after midnight so that people could watch the sunrise. I had never done it before and didn’t want to wander around in the dark, so I decided we would leave just after sunrise. Two trails lead to the top of Timp. One that starts from Aspen Grove and one that starts from the Timpanookie campground. The Aspen Grove trail is a little shorter but has a significant elevation gain. Timpanookie is a little longer but has half the elevation gain. At the time I was one belly thinner and decided to start at the Aspen Grove trailhead. The Aspen Grove trail winds up the east side of Timpanogos. The trail features numerous switchbacks, often crossing streams, and taking you close to waterfalls. Unlike people who leave early in the morning, the sun rose with us, each switchback taking us higher and the sun was right there with us. As the sun climbed higher in the sky, it made for spectacular views to the east towards the town of Heber City and the Uinta’s. The Author Thinks This is The Best Hiking Or Backpacking Footwear There Is! 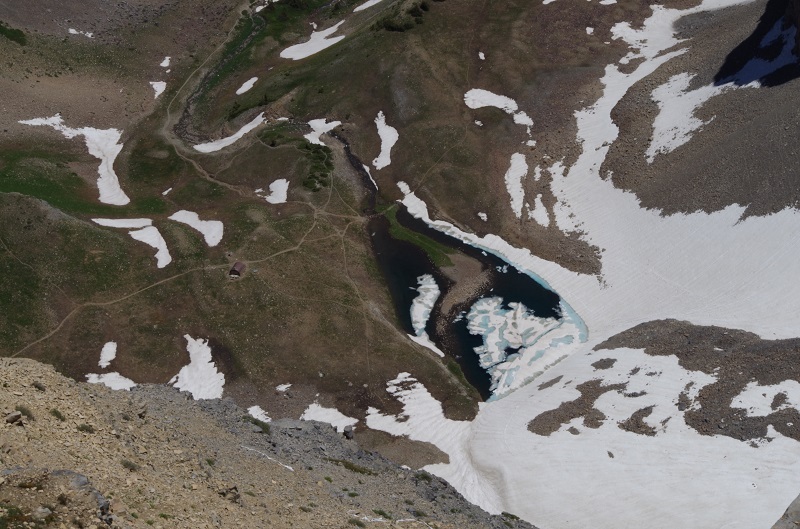 After a few hours of steady climbing, we reached the glacial basin and Emerald Lake. In some versions of the Indian legend, the warrior throws himself off of the summit of Timp and becomes the lake at the bottom. Today the lake is the collecting pool for glacial runoff from Utah’s only glacier. It’s an amazing hue of blue and if you have a filter, pumping the water will give you some of the best tasting water that does come from a glacier, unlike the bottled stuff that you buy in the convenience store. In the 50’s a stone cabin was built on the shores of the lake. Today it still stands and serves its purpose as a great place to stop and have a snack. 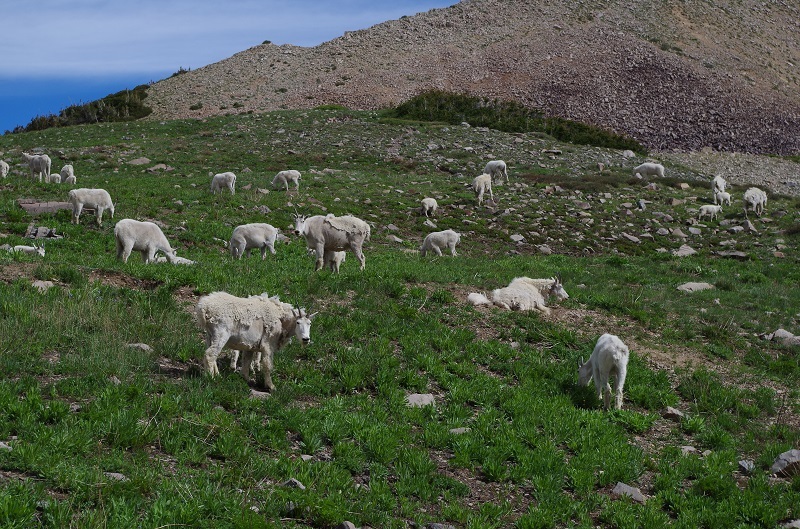 The second time I hiked Timp, several hundred mountain goats were roaming around the cabin. They were completely unphased by the presence of people and wouldn’t move until you would get within 20 feet. Two weeks after we were there, the goats attacked a dog, and it was taken to a vet. From the cabin to the very top is only about another hour. The trail winds around to the front of the mountain and provides views for up to 50 miles. To the northwest, you can see as far as the Great Salt Lake. Looking to the east and west give you a great view of the mountains, also to the west are views of Utah Valley. There is a metal shed on the highest point with a log book. Leave your name and browse the names of the people who were there before you. It just may amaze you at how far away some of the people in the book are from. After a few minutes of selfies, and taking in the views hikers have their choice of two different descents to the bottom. Some people choose to head north and travel back the way they came. Others choose to head south to the area called the saddle, which is where the top of the glacier lies. People who choose this route often slide down the glacier. Sliding down the glacier can cut a solid hour off of your hike, but does have its share of risks. A couple of rescues and several injuries have happened when people hit submerged rocks. Practice Good Ethics While Hiking! Most people who are in good shape can make the round trip in about 8 hours. 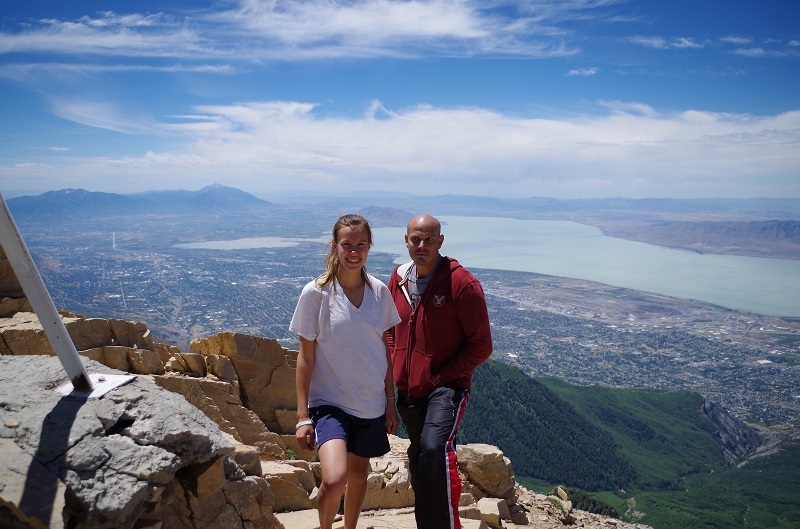 Just recently a 73 year old man hiked timp for the 700th time. 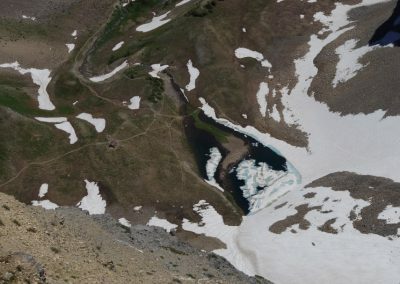 Depending on the snowfall in any particular winter, the trail may not be easily accessible until July. Other years it is hikeable in June. If you are a local who hasn’t hiked the top of Timp, I suggest you do. 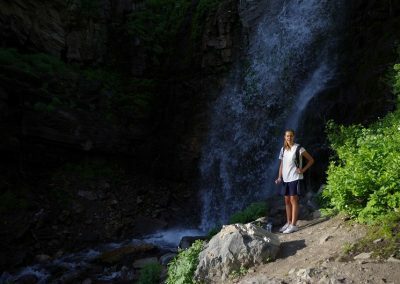 If you are from out of town and looking for an adventure, I suggest you give Timp a try. You may learn something about yourself, Are you the Warrior or the Princess? Andy Johnson has been writing for several years. 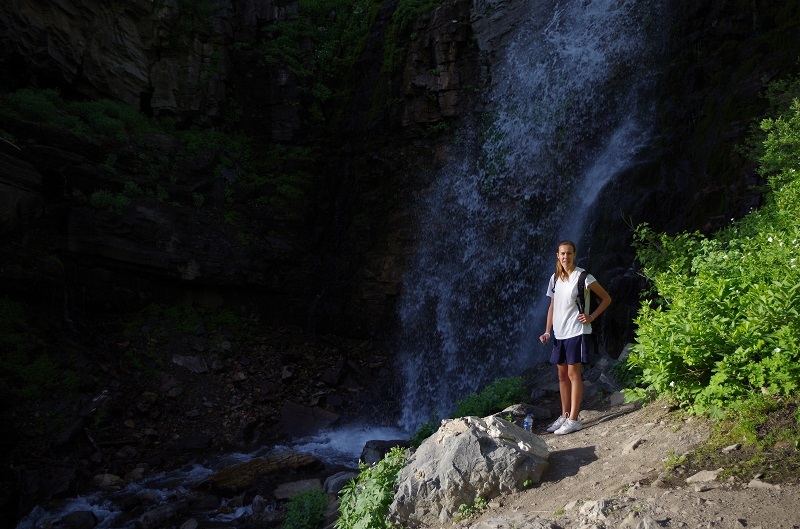 A recap of what you can expect when you hike this legendary mountain along the Wasatch Front in Utah County, Utah.